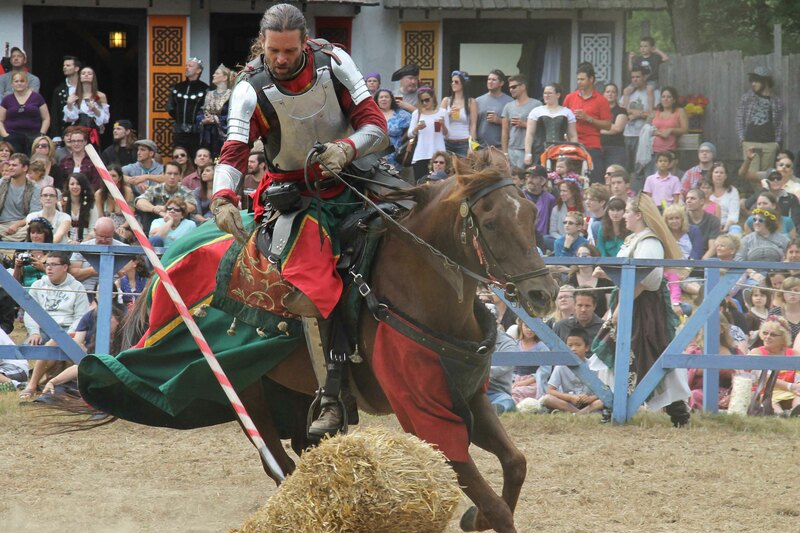 My roommate and I drove down to King Richard’s Faire renaissance festival yesterday and had a fantastic time! We hadn’t been on an adventure together in a while, so we were really excited to go. 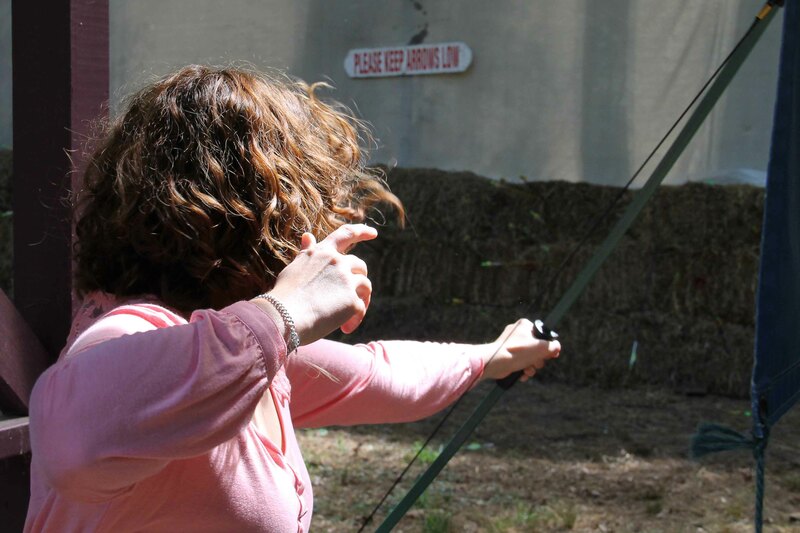 Anna, my roomie, shooting a bow and arrow! She wasn’t a terrible shot once she got started, although neither of us hit the bullseye. 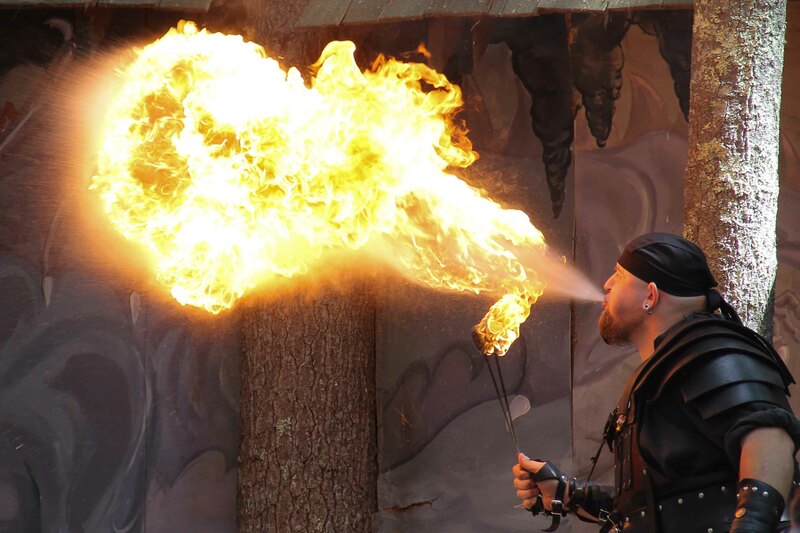 Part of The Torture Show, where Ses Carny breathes fire, cracks jokes, and places metal things in parts of his faces that should not be receptive to metal spikes and hooks. Not for the weak of stomach! 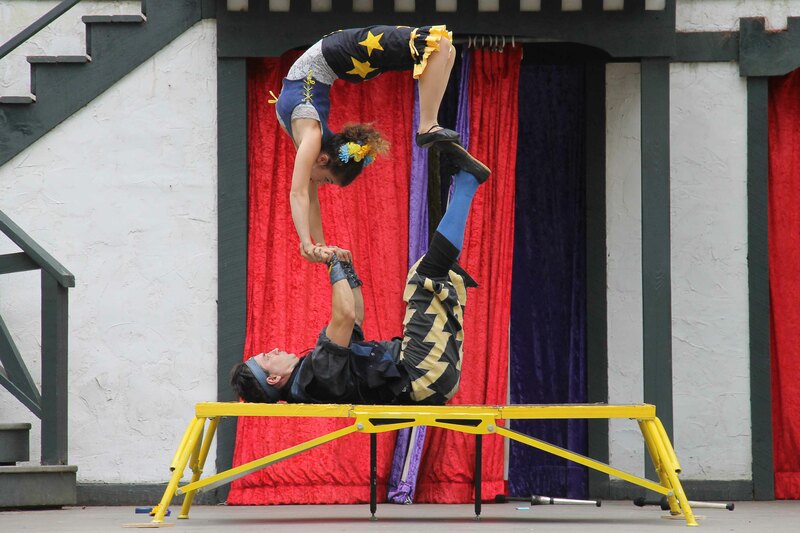 Acrobatrix, a comedic acrobatic duo, who made the most beautiful lines throughout their show. Combined with the lovely backdrop of the stage, it made for some lovely photos. 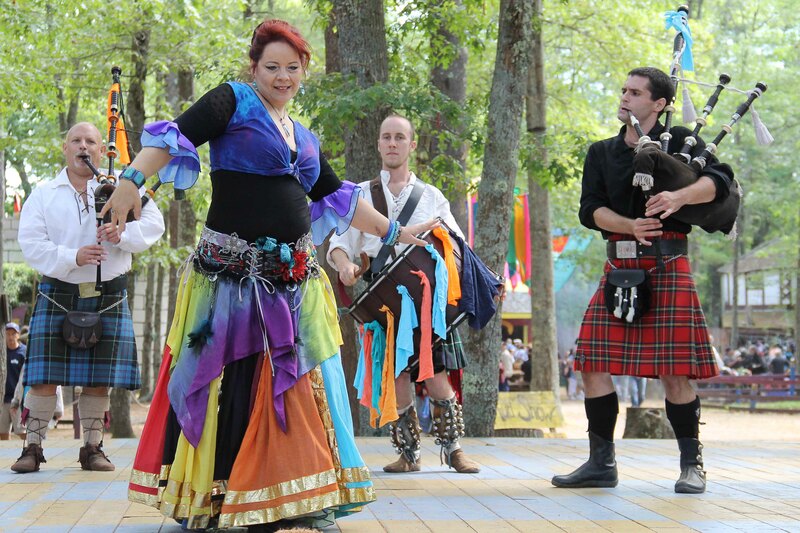 Plus, watching them flip, flop, and fly around the stage was fun! 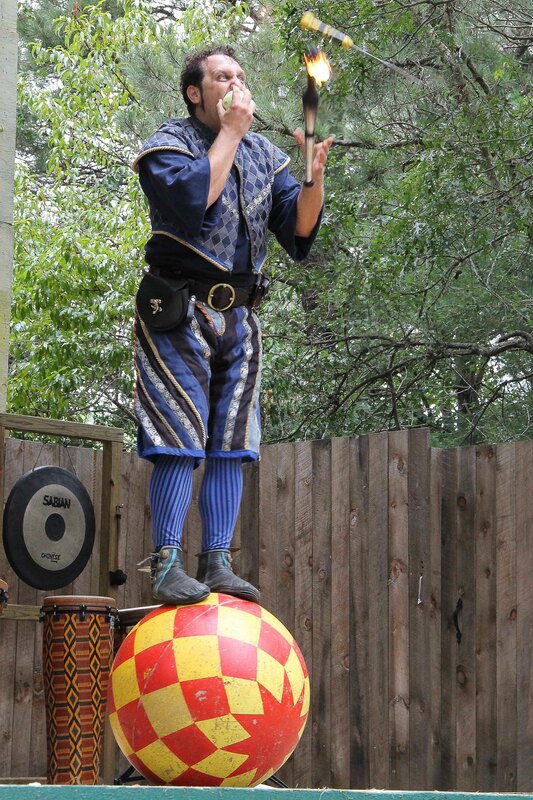 And, last but not least, the great Garbanzo, a hilarious juggler. He was the funniest act at the show, and the whole time I couldn’t figure out if he was being funny on purpose or if the most hilarious bits were just accidents. Either way, we spent the whole show laughing. Here, he’s eating an onion while juggling said onion, a knife, and a flaming torch.